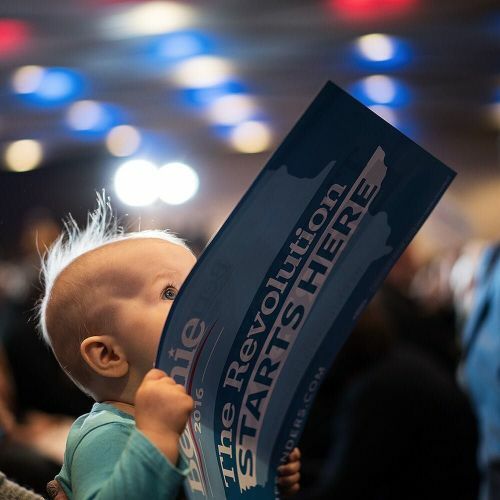 "Aubrey Udell, 1, held a sign at a rally for @berniesanders in Cedar Rapids, Iowa, yesterday. 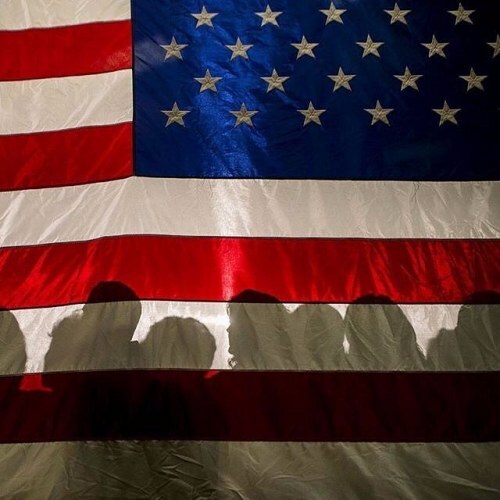 The Iowa caucuses begin tomorrow, officially concluding more than a year of candidate visits, weekend forums, phone calls and intense news media attention. 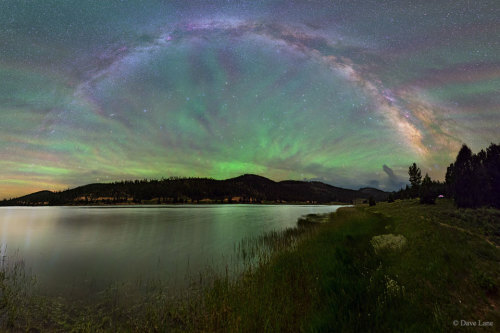 Each photo we have shared this #nytweekender was visually connected, in some way, to the picture that came before it. See if you can spot a connection between this photo by @nytimes staff photographer @heislerphoto and the photo we posted earlier today, by @damonwinter, who is also a staff photographer." By nytimes on Instagram. 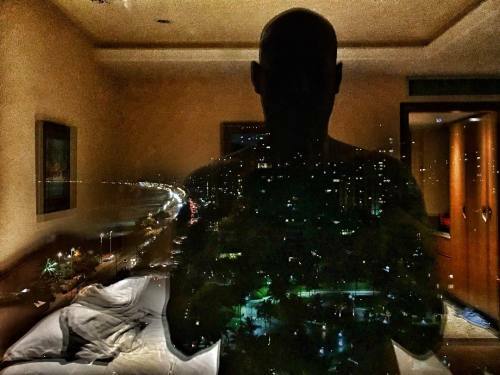 #reflection #photojournalism #documentary #portrait #rio #riodejaneiro" By benlowy on Instagram. "Betsy Brackett and her campaign accessory, Bellissima, waited with Frank Froehlich, a @usarmy veteran, outside @realdonaltrump's campaign event on Thursday evening. @realdonaltrump made headlines earlier in the week when he backed out of the #gopdebate. But that didn't stop supporters from flocking to the Sheslow Auditorium at @drakeuniversity in Des Moines. The @nytimes photographer @damonwinter — one of 8 photographers on #nytassignment covering the #Iowacaucuses — had a few minutes to photograph the crowd outside before the event began. 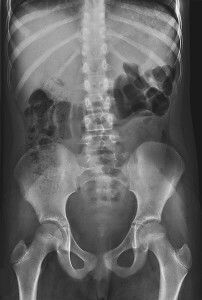 See if you can figure out how this picture is connected to the last one we posted. (This one is a bit tricky. We just really liked Bellissima.) #nytweekender" By nytimes on Instagram. "Tony Perkins and former Texas @governorperry joined the #Republican presidential candidate @sentedcruz at a pro-life campaign rally in West Des Moines earlier this week. The @nytimes staff photographer @crowleygraph was assigned to photograph the rally, where he caught these campaign accessories. There has been no shortage of campaign paraphernalia in Iowa this week — from support signs to red-white-and-blue makeup. @crowleygraph is one of 8 photographers on #nytassignment covering the events leading up to the #Iowacaucuses, which begin on Monday. We asked all 8 to take one picture for us to share this #nytweekender. Follow along and see if you can figure out how each picture is visually connected to the one that came before it." By nytimes on Instagram. 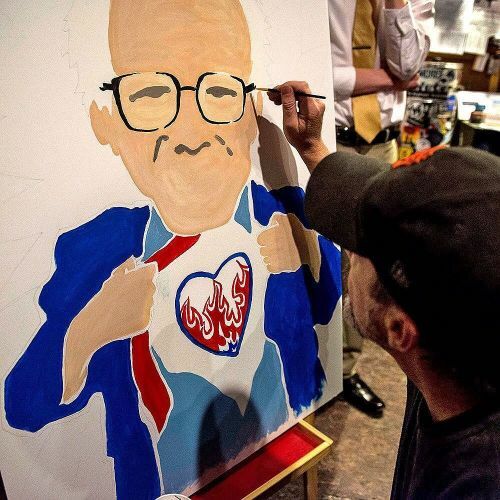 "Brian Heath perfected the glasses on a portrait of Senator @berniesanders he painted at a rally at the Ritual Cafe in Des Moines, Iowa earlier this week. With the Iowa caucuses approaching — they begin on Monday — the @berniesanders youth brigade has been on the move this week in Iowa. With his talk of free tuition, unabashed unhipness and calls for political revolution, the Democratic candidate has undoubtedly struck a chord with young people. @gdemczuk, who took this photo, is one of 8 photographers on #nytassignment covering the events leading up to the #Iowacaucuses. Each picture we share this #nytweekender is visually connected, in some way, to the picture that came before it. 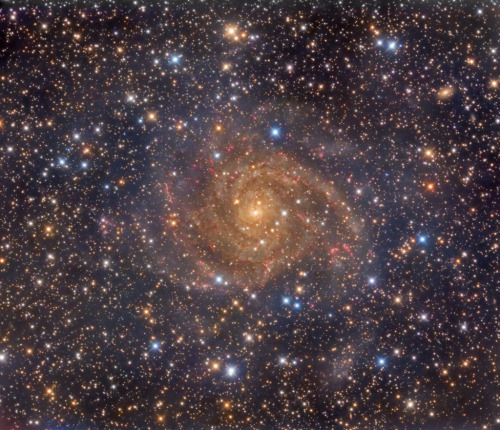 See if you can spot the visual connection between this photo and @maxwhittaker's photo, which we posted last night. #Iowacaucuses" By nytimes on Instagram. "Members of the audience listened raptly as @berniesanders, a #Democratic presidential candidate, spoke at a campaign event at @grinnellcollege in Grinnell, Iowa, on Monday. As @berniesanders swung through Iowa this past week, the Vermont senator rarely passed up a chance to bash the rising tide of money in politics, a system he said on Tuesday was "corrupt and undermining American democracy." In the week leading up to the #Iowacaucuses, the number of photographers we have on #nytassignment in Iowa has grown rapidly. @maxwhittaker, who took this photograph, is one of 8 photographers covering Monday's big event. This #nytweekender is all about visual connections. Follow along, and see if you can spot the similarity between each photo and the one that came before it." By nytimes on Instagram. "A woman attending a get-out-the-caucus event in Marion, Iowa, held a copy of the @dmregister that featured images of @hillaryclinton and and @marcorubiofla. @nytmills, one of 8 photographers on #nytassignment in #Iowa, took this photo last weekend. The theme this #nytweekender is connections. Each picture we share this #nytweekender is visually connected, in some way, to the picture that came before it. 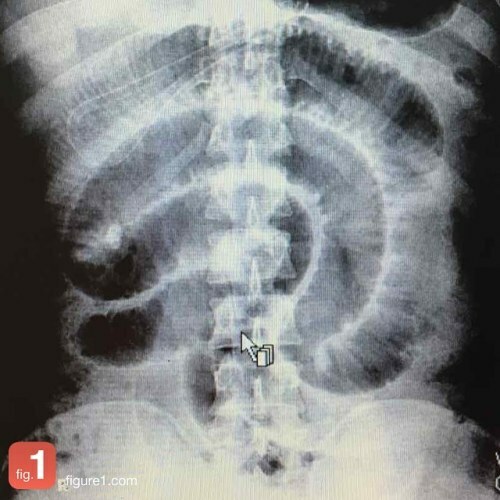 See if you can spot the connection between this photo and the photo we posted earlier today by @samuelhodgson. 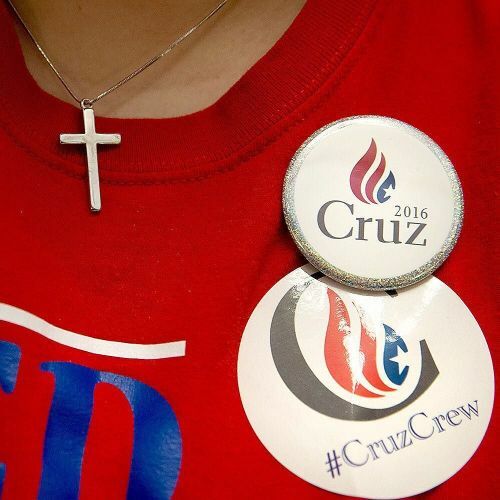 Follow along to see more images from the #Iowacaucuses." By nytimes on Instagram. 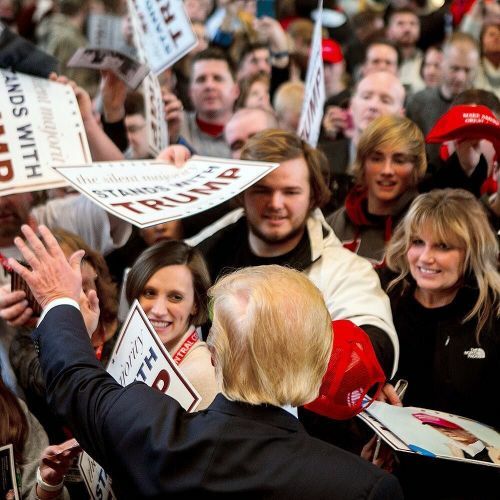 "@realdonaldtrump waved to supporters at a campaign event in Pella, Iowa, last weekend. Attendees at the rally were greeted by an unexpected guest with a familiar face: Senator Charles E. Grassley, Iowa's senior senator and a member of Congress for over 40 years. The pillar of Iowa Republican politics did not endorse @realdonaldtrump, but his presence sent a powerful message to potential caucus-goers just over a week before the February 1 vote. 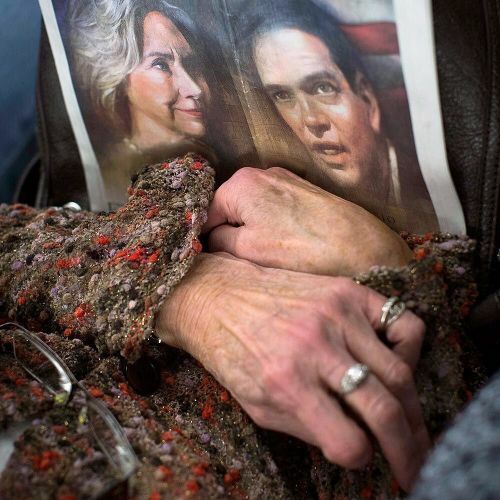 This photo was taken by @samuelhodgson, one of 8 photographers on #nytassignment covering the #Iowacaucuses. Each photo we share this #nytweekender will be visually connected, in some way, to the picture that came before it. 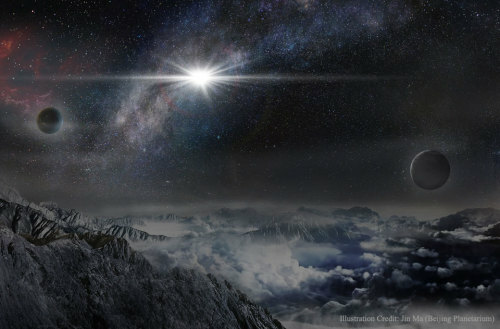 See if you can spot the connection between this photo and the photo we posted earlier today by @ericthayer." By nytimes on Instagram. 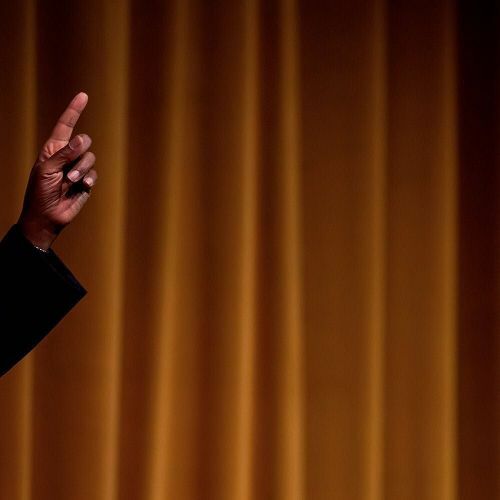 "@realbencarson spoke at a campaign event in Atlantic, Iowa last week. After surging to the top of the #Iowa polls in the fall, the Republican candidate's support has plummeted as scrutiny over his background and grasp of foreign policy intensified. The Iowa caucuses begin Monday, officially concluding more than a year of candidate visits, weekend forums, phone calls and intense news media attention. 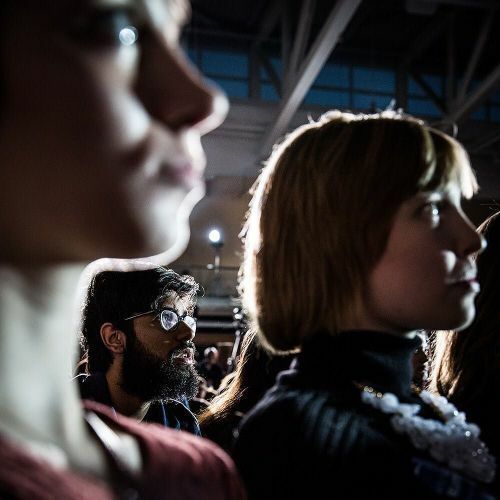 @ericthayer, who took this photo, is one of 8 photographers on #nytassignment covering events leading up to the #Iowacaucuses. We asked @ericthayer to take a photo to kick off this #nytweekender, where we're test-driving a ripple effect. Pay close attention to details, and see if you can figure out how each picture is visually connected to the one that came before it." By nytimes on Instagram. 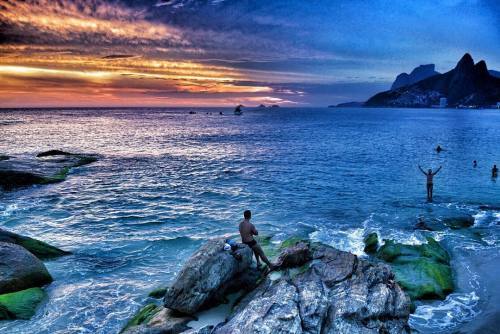 Day to night on Pedra do Arpoador. #photojournalism #documentary #reportage #beach #epicsunset #rio" By benlowy on Instagram. "Everyone seems to want a piece of @justin_peck. The 28-year-old's choreographic career has raced at rabbit speed: Critical assessments are already placing him among the foremost ballet choreographers, such as @wheeldony and Alexei Ratmansky. @justin_peck is resident choreographer at @nycballet, where he also dances as a soloist, an oddity for a choreographer at his level. His for making a ballet is self-taught. He spends a lot of time in the studio alone, using his own body to develop movements. "I want to make sure I'm thorough," @justin_peck said, "going through a certain sequence then veering off in 5 directions to find the one that musically feels right. If you do that work, you can later act spontaneously with the dancers." @justin_peck's 10th work for @nycballet, "The Most Incredible Thing," debuts on Tuesday. @ryanpfluger photographed @justin_peck while on #nytassignment." By nytimes on Instagram. 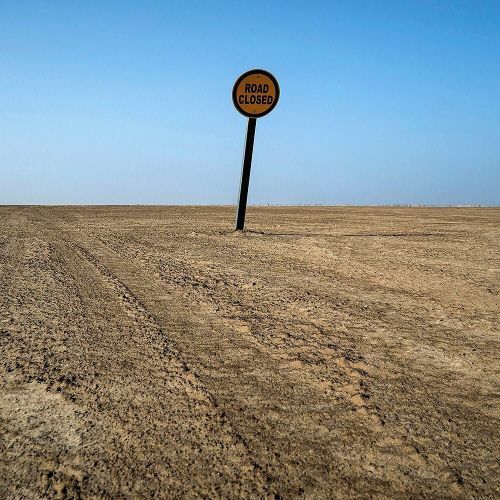 "More than twice the size of Germany, but with just over 2 million people, #Namibia is one of the least densely populated countries on the planet. Or as the writer @bysarahkhan put it in @nytimestravel, the country is blessed with "plenty of space, but few humans to fill it." The @nytimes staffer @joaosilva_nyt photographed the road (or lack of) to Sandwich Harbour, a lagoon on the Atlantic coast, while retracing @bysarahkhan's 7-day, 1,500-mile road trip for #nytassignment. Visit the link in our profile to read more about @bysarahkhan's road trip and see more photos of Namibia's surreal desert landscape. #regram from @nytimestravel." By nytimes on Instagram. "For years, Boris Tuberman and David Shapiro — the 2 owners of the Russian and Turkish Baths in New York City's East Village — have split their business down the middle, running it on alternate weeks. 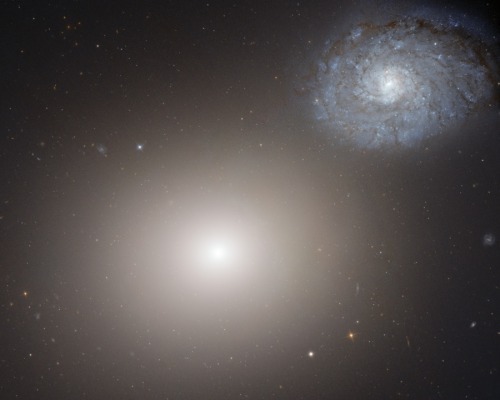 Although they have separate corporations, they share expenses and the costs of repairs. On "David weeks," as they're called, there is a new crowd. "The hipsters come in with their Groupons, sporting their tattoos and their man buns," said Rich Trince, 50, a longtime regular. On "Boris weeks," the regulars are still "vaguely Slavic, vaguely paunchy," said Charles Kramer, a 62-year-old lawyer — and another regular. This system has thoroughly confused people who arrive with a Groupon on the wrong week. But at least half the time, the bizarre arrangement has worked to preserve something of the old world of the shvitz. @nicole_craine photographed Gary Hope, 48, getting a platza, or oak-branch thrashing, on a "Boris week" at the Russian and Turkish Baths." By nytimes on Instagram. "You'll find the motto plastered on bumper stickers around the country: "Mad River Glen, Ski It If You Can." At Mad River Glen, snowboarders are banned, snow-making is limited to 10% of the mountain and only half the trails are ever groomed. But what really sets it apart is how little some things have changed since it opened in 1948. The parking lot is dirt, and skiers use a one-person single chair lift. Skier-owned, the cooperative's 1,800 members pay a one-time fee of about $2,000 to join and then must spend at least $200 annually on services or goods at the mountain. 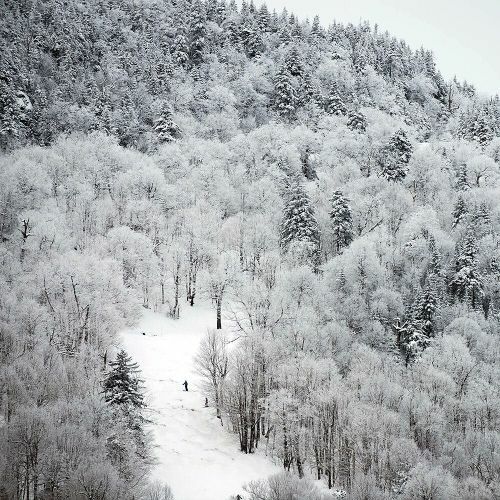 Caleb Kenna photographed the prized ski area while on #nytassignment in central #Vermont for @nytimestravel. #⛷" By nytimes on Instagram. Jiu Jitsu practice at the world famous De La Riva academy in Rio. Part of my conflict resolution through sports project. #photojournalism #documentary #sports #sportsphotography #conflictresolution #jiujitsu #rio" By benlowy on Instagram. "Nearly 30 years ago, Lilly Love lost her way. The day after she completed her 5-year tour of duty in the Alaska-based @uscg, the helicopter she had flown in for the previous 3 years crashed, killing 6 of her former crewmates. 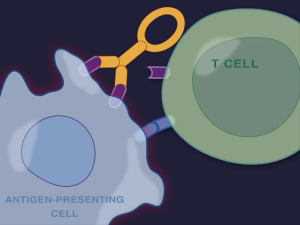 It was 15 years before Lilly formally received a diagnosis of severe post-traumatic stress disorder. 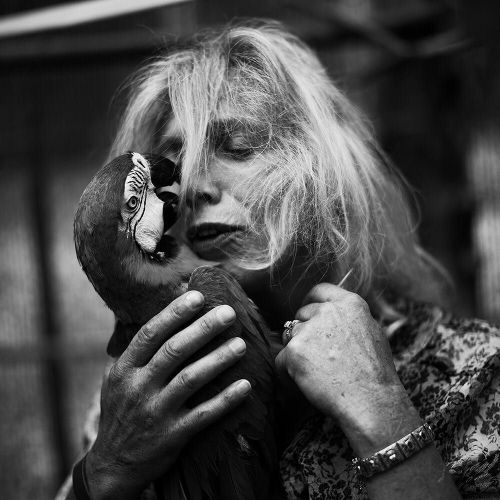 She credits catching sight of the parrots housed at Serenity Park — a work-therapy program that bonds traumatized veterans with damaged birds — as the reason she's still alive today. "I see the trauma, the mutual trauma that I suffered and that these birds have suffered, and my heart just wants to go out and nurture and feed and take care of them, and doing that helps me deal with my trauma," Lilly told @nytmag. "All without words.'' @jackdavisonphoto photographed Lilly with a #parrot at Serenity Park, which is located on the grounds of the West Los Angeles Veterans Administration Medical Center." By nytimes on Instagram. "Here's your it's-almost-the-weekend #dancebreak. 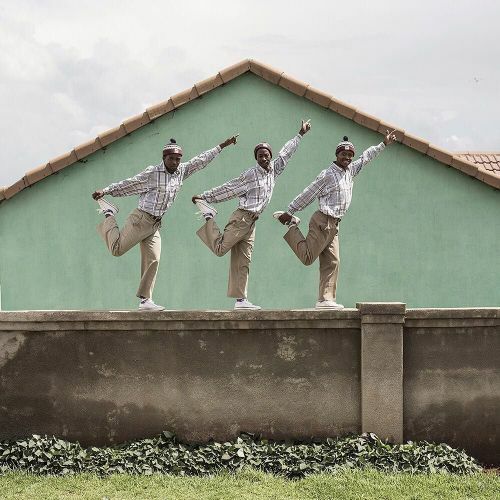 Dancers from Ezomdabu Township struck their signature pose atop a wall in Vosloorus Township. The South African photographer @mrmofosaunders has spent 6 years documenting the #dancers, for whom #pantsula is a way of life. "Everywhere you walk down a road, there's kids playing, people dancing, people barbecuing … it's got a vibe," he told the #lensblog. "It's street culture."" By nytimes on Instagram. ""It seems absurd to admit that in the whirl of daily life I missed so many small particularities of the place I called home for over 13 years. And yet I did." When the writer Mahesh Rao (@mraozing) returned to London after time away, he found a new perspective on once-familiar things. We're looking for your photos of a place you've suddenly seen through fresh eyes. Maybe it's your hometown, or perhaps it's somewhere you lived for a while. Photograph something — a striking street name, a strange storefront, an oddly-shaped building — you once overlooked but now treasure. 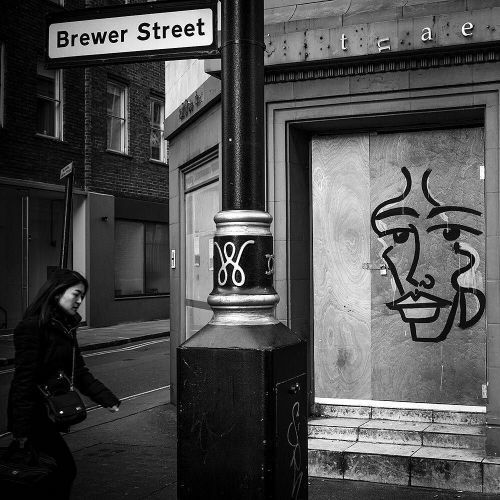 (For inspiration, look to this image taken by the photographer @tom__jamieson yesterday in London's Soho neighborhood.) 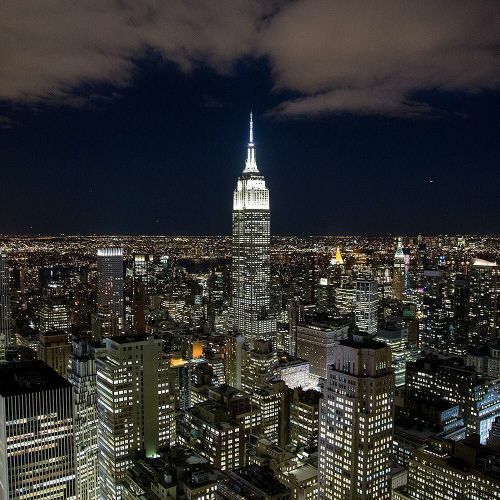 In your caption, tell us what city you're in and why you feel a newfound appreciation for this view. Post your photo with the hashtag #ThroughFreshEyes. We're looking for photos you took yourself. No selfies, please. 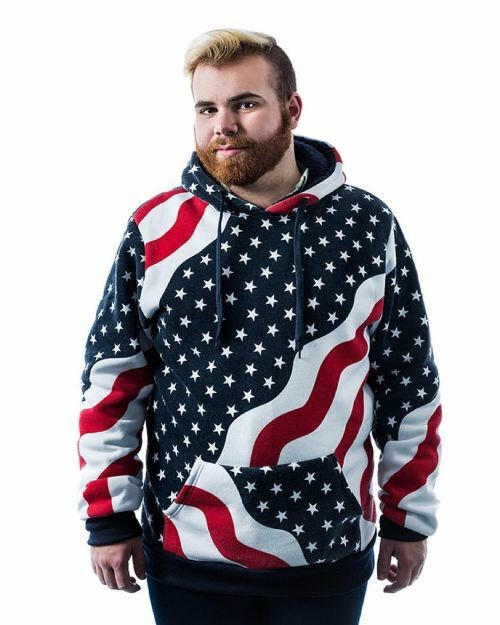 We'll reach out if we would like to feature your image on nytimes.com." By nytimes on Instagram. ""I came out at 15. I had gotten rid of all the kind of people who would go against me before I came out, and was discovering a lot about my gender identity. I stopped going to church, and all that sort of stuff. But luckily my family is really accepting. They can't be perfect. It's more of a learning experience for them, just as much as it is for me. Luckily they have a very outspoken son. But I live in rural Iowa. Going out canvassing in a lot of these rural areas when I'm sort of expressing my gender more femininely is not necessarily the safest thing." @nytimes reporters are asking people at #Election2016 campaign events — like Austin Wadle of Grinnell, Iowa, pictured here — what makes them passionate about politics. Follow the photographer @chadbatka to see more from this ongoing series, or visit the link in our profile. #ofthepeople2016" By nytimes on Instagram. "The question of what a #Republican debate might look like without @realdonaldtrump has loomed over the first 6 contests. It will be answered in a few minutes when the candidates take the stage in Des Moines. 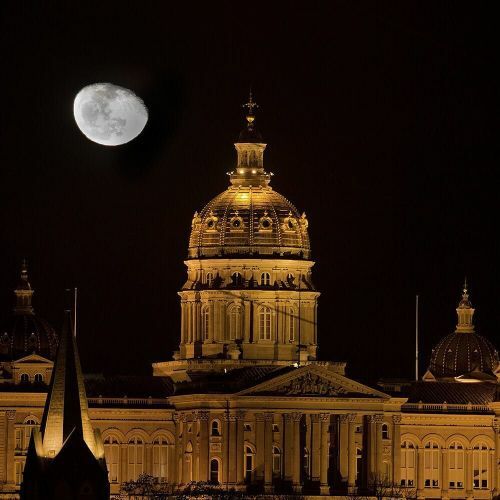 @crowleygraph, who is one of the photographers on #nytassignment this week in Iowa, took this photograph last night in front of the Iowa State Capitol in #DesMoines. #campaign2016" By nytimes on Instagram. 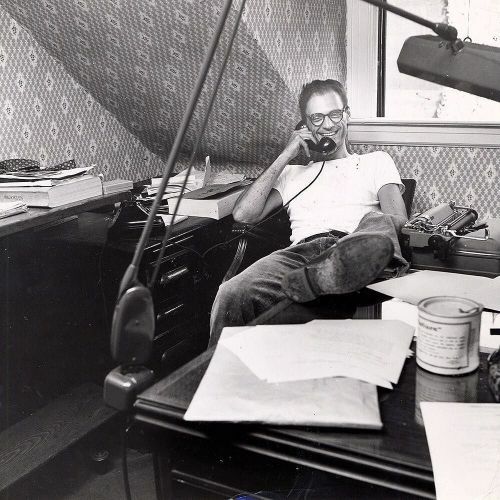 "The centennial of Arthur Miller's birth in October 1915 has returned the playwright's name to the front and center of the New York theater world. But nowhere is #ArthurMiller more alive than in the streets of Brooklyn. In 1952, the @nytimes staff photographer Sam Falk took this photo of Arthur at 155 Willow Street in Brooklyn Heights, where he lived for a few years with his first wife (and where he was living when he met his second, Marilyn Monroe). In an office on the top floor of the Federal-style house, Miller wrote "A View From the Bridge" — which has drawn stellar reviews since it opened on Broadway last year — and "The Crucible," which starts previews on Broadway in a few weeks. To read more about #ArthurMiller and Brooklyn, visit the link in our profile. #tbt" By nytimes on Instagram. "The model @fridargustavsson got into character before closing the @jpgaultierofficial show in Paris yesterday. The photographer @landonnordeman has been on #nytassignment in Paris, photographing #couturefashion week, which drew to a close with the debut of the Chinese designer @guopeiofficial. Follow @nytimesfashion and @landonnordeman to see more runway looks from shows and styles spotted on the streets of Paris. #regram" By nytimes on Instagram. 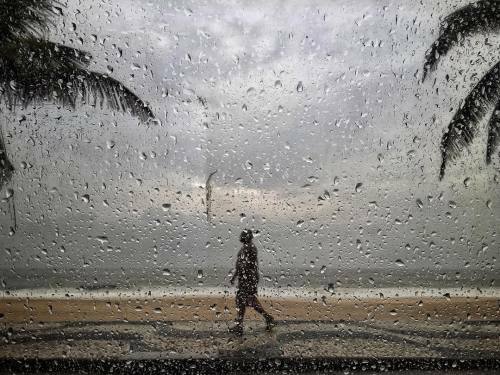 Rainy beach day in Brazil. At least there is no snow. :) #photojournalism #documentary #streetphotography #brazil #riodejaneiro #rio #travel #onassignment" By benlowy on Instagram. 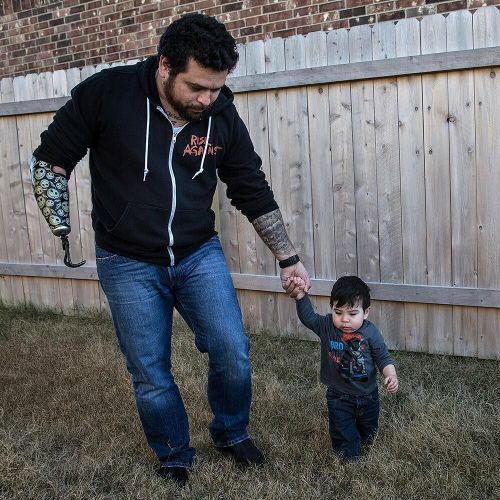 "After Jesse Longoria recovered from a roadside bomb blast that nearly killed him in Iraq, he got a job with the Wounded Warrior Project (@wwp), training #veterans to help other veterans. @tamirhasacellphone photographed Jesse, a former @marines sniper, with his 16-month-old son, Noah, for a story about how @wwp's swift rise has led to aggressive styles of fund-raising, marketing and personnel management. Insiders say the charity has also spent millions per year on itself. In 2012, after Jesse had been working at @wwp for about a year, he had to have his right arm amputated and later checked himself into suicide watch at a psychiatric ward. Not long after, he was fired from his job. But in a way, Jesse was relieved. "I knew where the money was going," he said. "It seemed to me like it was a big lie."" By nytimes on Instagram. "It's time for another #dancebreak. The South African photographer @mrmofosaunders took this portrait of the Dlala Mapantsula dance crew in Johannesburg's Mohlakeng Township. In the city's townships, pantsula dancers use hectic streets as their stage. 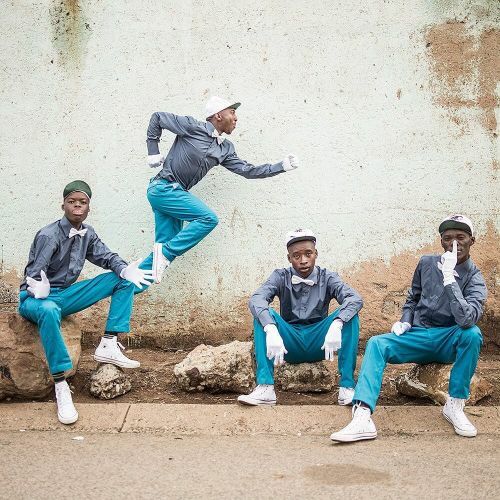 @mrmofosaunders has spent 6 years documenting the #dancers, for whom #pantsula is a way of life. "I didn't want to focus on the negativity that surrounds the reality of a lot of people's lives in the scene," he told the #lensblog. "I wanted to focus on the dance, the beauty of the culture and what they're trying to portray to the world."" By nytimes on Instagram. "What does a parrot know about PTSD? Tango, the green-wing macaw pictured here, lives alongside other abandoned — and deeply traumatized — former pets at Serenity Park, a #parrot sanctuary in West Los Angeles. Abandoned pet parrots are twice-traumatized beings: denied first their natural will to flock and then the company of the humans who owned them. But as part of a work-therapy program at Serenity Park, which was founded by a psychologist, damaged birds are bonding with traumatized veterans. 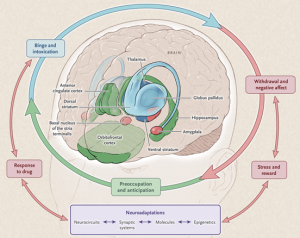 As the 2 outcasts of human aggression help each other to find their way again, they could reveal surprising insights into animal intelligence. 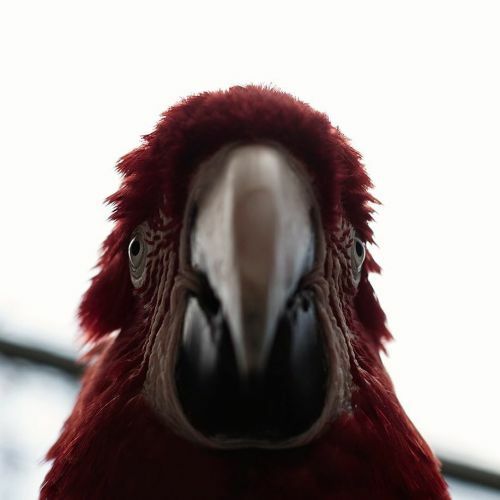 @jackdavisonphoto photographed Tango and other parrots at Serenity Park for @nytmag." By nytimes on Instagram. "At @franklinbbq in Austin, Texas, people pull up at dawn and spend their breakfast hours waiting for lunch. Rain or shine, 6 days a week, hundreds wait 3 to 5 hours (or longer) to eat some of the most celebrated smoked #beefbrisket in America. @franklinbbq first opened in 2009, operating out of a trailer, and has since sold out of meat every day. The hours reflect this trend: 11 a.m. to sold out. The line, though, has become a thing unto itself — a kind of pregame party for meat. 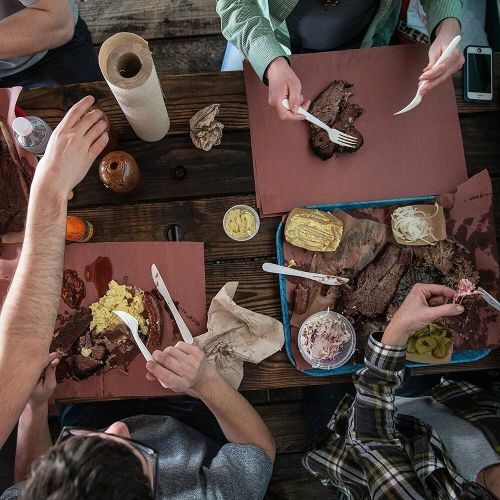 "Kanye West wanted to cut the line and we didn't let him," @franklinbbq's general manager Benjamin Jacob told @nytfood. "Everybody's equal." @tamirhasacellphone photographed this spread of brisket and ribs while on #nytassignment in Texas." By nytimes on Instagram. "Looking out over #Manhattan from the top of the @nytimes building at 40th Street and 8th Avenue. Our staff photographer @joshhaner made his way to the roof to capture a glimpse of our city of more than 8 million as we celebrate reaching our millionth @Instagram follower. Follow @joshhaner to see more of his photographs. #🎉 #🏙" By nytimes on Instagram. ""One thing worse than Auschwitz itself would be if we forget that a place like this ever existed," Roman Kent, survivor. 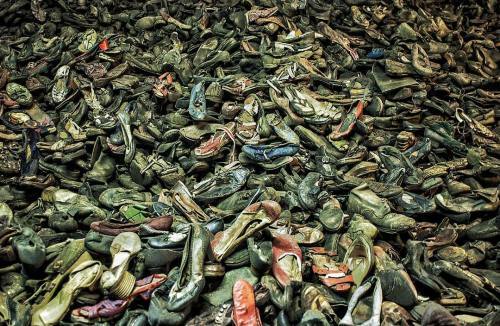 This image was made at the Auschwitz Museum, in a room filled with thousands of shoes, the victims of the camp's gas chambers. The legacy of the Holocaust was my primary motivation for becoming a conflict photographer at the beginning of my career. While I was influenced by the documentation of Rwanda, the Balkans, and Chechnya - events that occurred in my own lifetime - it was the horror of man's ability to attempt the systematic destruction of Jews - of my own family - that pushed me towards photography and documentation. While my life has certainly changed, as has the Photojournalism industry, and I find myself shooting less conflict, I'm still reminded daily that we have a responsibility to document the good and the bad, to show people what goes on in the violent corners of the world that they would rather forget and deny. #auschwitz #auschwitz70 #photojournalism #documentary" By benlowy on Instagram. "Ice skaters at @brookfieldplny in Manhattan this afternoon. To celebrate our millionth @Instagram follower, we gave @bryanthomasphoto an unusual #nytassignment: photograph festive scenes in New York. He rode the Staten Island Ferry, strolled through the West Village. and captured New Yorkers taking advantage of warmer weather in the Financial District. To see more of @bryanthomasphoto's photos from New York, visit the link in our profile. #🎉" By nytimes on Instagram. "A crowd listened to the #Republican presidential candidate Senator @marcorubiofla speak last night in Des Moines, Iowa. With push coming to shove in the final days before the Iowa #caucuses, the Florida senator is trying to persuade conservative Republican voters that he is the most anti-establishment establishment candidate. #regram from @samuelhodgson, one of the photographers on #nytassignment this week in Iowa. #election2016" By nytimes on Instagram. "Most of the skulls in our Hyrtl Skull collection are European/Caucasian, as Dr. Hyrtl aimed to demonstrate that cranial anatomy varied widely even in a similar population. This skull here stands out though as it is from Thebes, Egypt. Join the #phillywalksegyptian contest to win tickets to @muttermuseum AND @franklininstitute, and get two doses of scientific history in one day! 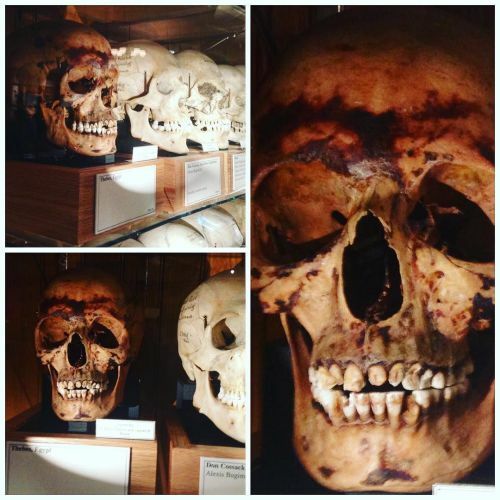 #museum #philadelphia #visitphilly #discoverphl #philly #muttermuseum #franklin #egypt #lostegypt #skull #skulls" By muttermuseum on Instagram. "In Johannesburg's townships, #pantsula isn't just a dance, but a way of life. With precise and technical footwork, dancers use hectic city streets as their stage. 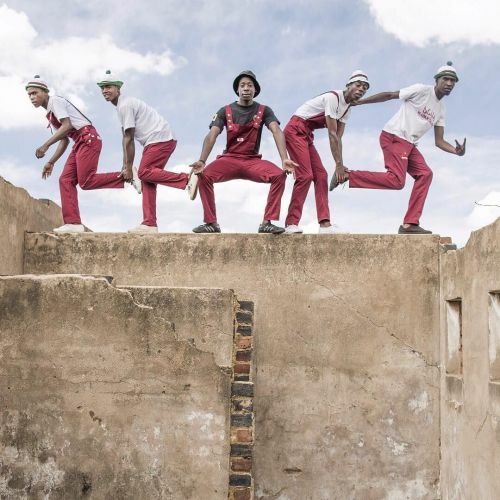 "The guys are trying to spread a message of better living through the dance," said @mrmofosaunders, who has spent 6 years documenting pantsula #dancers — like the members of the Rea Iketsetsa, pictured here in #Soweto in their signature style. Like many art forms rooted in street culture, pantsula performances are typically responses to cultural and political issues. In the mid-1980s, when a state of emergency was declared in South Africa, pantsula — which was influenced in part by early B-boy culture — allowed dancers to bond over their shared experiences under apartheid. We'll share more photos by @mrmofosaunders later this week. But first, it's time for a #dancebreak. #lensblog" By nytimes on Instagram. "In @hbo's new drama @vinyl, executive producer @martinscorsese_ said, "music becomes part of the narrative, but the whole narrative is like a piece of music." By mixing fictional characters with actors playing real-life music stars (like David Bowie, Elvis Presley and Lou Reed), @vinyl is ambitious, expensive and the closest proposition to a sure thing this side of a Led Zeppelin reunion. @oliviawilde — photographed here by @brinsonbanks — will play the protagonist's wife, a former muse and confidant to Andy Warhol. "I need to know that you're not asking me to be the long-suffering housewife," @oliviawilde told producers before she accepted the role. "I want to make sure there's something there." @vinyl debuts on February 14." By nytimes on Instagram. ""They told me, 'The government will take away your house.'" 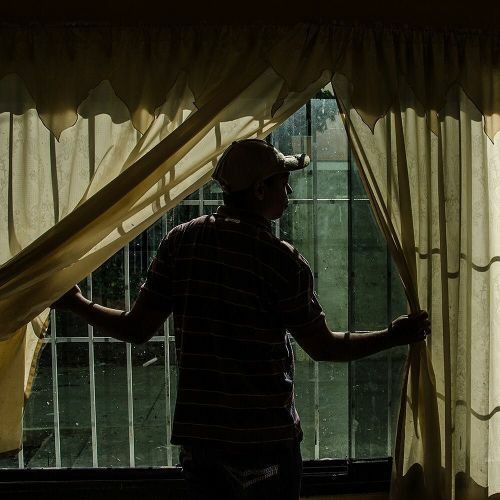 Yoni Iriarte, a 26-year-old opposition activist, lives in Ciudad Miranda, about an hour's drive from Caracas, #Venezuela. The housing project, which provides accommodation for some 22,000 people, was built by the former president Hugo Chávez. For years, the opposition has cried foul over his tendency to hand out housing to supporters. But now, the country's disastrous economy is pressuring lawmakers to give away the deeds to hundreds of thousands of homes — and thus, win the loyalties of the nation's poor. Yoni, meanwhile, believes having the title to his house would let him vote freely. "If there is no blackmail of the government revoking my home, then I can vote for whomever I want," he said. Photo by @meridithkohut." By nytimes on Instagram. "It was the opportunity to help change a life for the better that led donor Kristy Hokett to offer her kidney to Thomas House, a former colleague of her father's. "If it is something that I have that I can give to someone that would benefit more than I would, then I'll help them out," said Hokett. Before the advent of kidney chains, her generosity may have come to nothing, as she was not a good match for House. 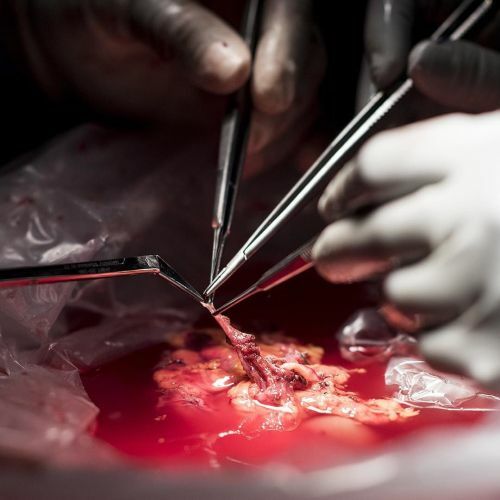 Because of the availability of kidney chains, she was able to donate a kidney to a well-matched donor and ensure that House would in turn receive a kidney from a well-matched donor. ""When the telecast comes on and you hear, 'Here we are on a beautiful night here in Santa Clara,' it kind of gives you a little bit of a jolt." 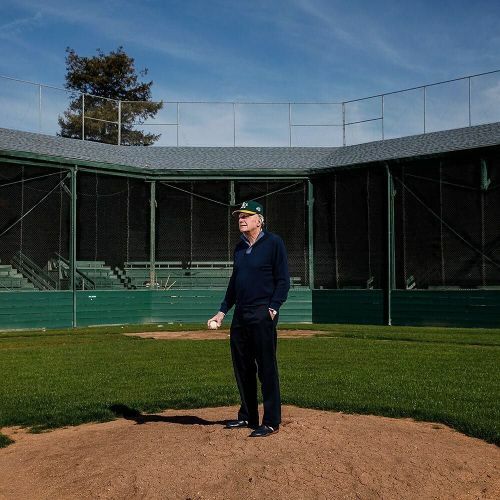 Steve Schott was an owner of the Oakland @Athletics baseball team during the era depicted in "Moneyball," the 2004 book that was later made into a movie. But seeing his team portrayed on the big screen did not move Steve as deeply as seeing his hometown on the small screen does. Next weekend, #SantaClara will host #SuperBowl50. For those who grew up in the area — like @nytimessports reporter Karen Crouse — it's hard to believe that the biggest @nfl game of the year will take place there. @sarahricephoto photographed Steve at Washington Park in Santa Clara." By nytimes on Instagram.